New releases of built-in playing programs: Chess Tiger 2004, Ruffian, Delfi, Crafty and Russian Dragon. Huge database of 2,710,000 games (by January 1, 2005); 24,000 commented games. Game Service 2004-2006: 2,500 games free available every week via the Internet. The Chess Opening Encyclopedia 2004 mode includes rich theoretical material on all the openings, more than 8,000 annotations from GM Kalinin and 500,000 expert evaluations to key opening positions. An access to the opening encyclopedia is improved thanks to a new revolutionary mode - Opening Tables , which presents the theoretical material in a familiar form of the encyclopedic table and allows you to replay the opening lines on the chessboard. You can annotate theoretic lines using a new facility for adding\editing variations. 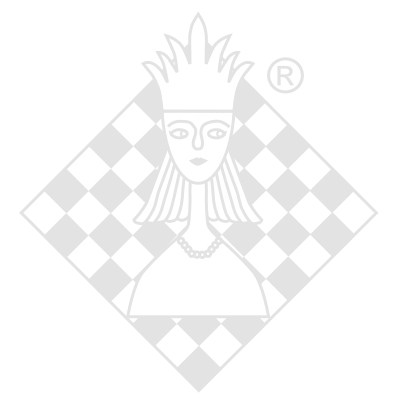 Internet Chess Assistant Club mode - playing through the Internet for free, scheduled tournaments with prizes (from blitz to correspondence), chess training, special chess mail service, Internet access to databases, online-support for CA8 customers, etc. Automatic means of annotating games with intelligent insertion of text annotations to moves. Nalimov Endgame Tablebases (6 pieces) available over the Internet. The Chess Assistant development staff have created a video course of several flash animation videos. This course is designed to support the user's work and the Chess Assistant documentation. We hope that it will help you to find answers to your questions and solutions to some of the problems that you may encounter while working with Chess Assistant. The possibilities of searching and accessing the databases are greatly improved thanks to the new search mode - the Composite search . Here you can find over 100 chess criteria built-in into Chess Assistant's search facility, which facilitate you orientation in various stages of the chess game - opening, middlegame and endgame. A new players' multimedia Encyclopedia includes images of 800 top players, as well as data organized by year\tournament; this is also an excellent device \u341? accessing databases for players' games. New data of Chess Analysis Project (CAP) for more than 10 million analyzed positions is included. Future importing of huge amounts of analyzed data is foreseen and provided for. Online support is available over the Internet, as well as Chess Assistant users forum . A lot of improvements in the program including the improved functionality of Chess Assistant's classifier, advanced analytical algorithms and many more. Für das Update ist die Einsendung der original CD < 7.x erforderlich.